In Marshalltown, Iowa the school band began in Grade 4. During the instrumental demonstrations, I was wooed by the power of the trumpet. No delicate woodwinds for this tomboy. So, much to my sisters’ chagrin, daily trumpet practices began. 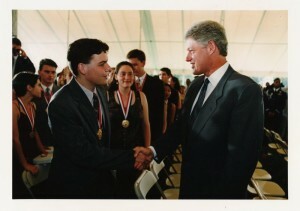 During my junior high school years in Austin, Texas, I befriended a fellow trumpet player by the name of Nathaniel. In friendly battle, we’d jostle back & forth for first and second chair positions, see who could start lower and end higher on the chromatic scale and then we’d join forces to visit his great Aunt Lucy’s retirement home to deliver some stellar duet performances. 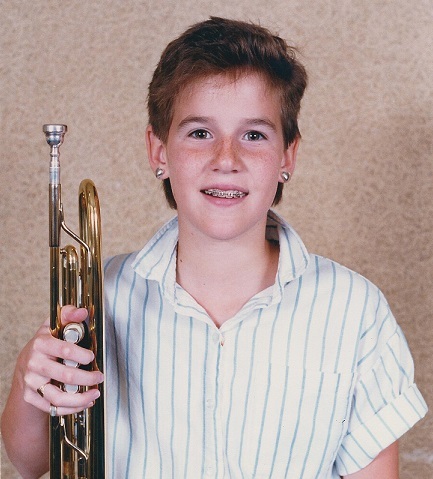 If either of us post trumpet pictures on Facebook now, mine would be in the school gym that our church rents because our worship director asked me to dust it off and play at Christmas time. Nathaniel is usually pictured in a tux, playing in European cathedrals. Our verse for today says “Do you see a man skillful in his work? He will stand before kings; he will not stand before obscure men.” (Proverbs 22:29) This bit of wisdom teaches the direct correlation between excellence and influence. The more excellence a person exhibits in life, the broader the scope of their ability to influence because of it. Though I had my fair share of musical victories in regional competitions throughout junior high & high school, it was Nathaniel’s commitment to excellence that placed him before presidents & dignitaries. The truth is: Excellence earns an audience. Excellent individuals do not remain obscure for long. We’re drawn to them. Want to be with them. Want to be like them. If you’re excellent in areas such as sports, the arts or politics you’ll probably be invited to speak, coach, perform, mentor or write a book. Thousands will pattern their speech, hair & clothing after you. Millions may follow you, hanging on your every word and savouring the minutia of your life. Because so much of that attention seems silly and oftentimes misplaced, I used to wonder if there was much value in encouraging my girls to excellence in their varied endeavors. Maybe it’s useless. Maybe it’s all too self-serving. Maybe it’s just not as important as “holy” things. But then I got to thinking about our hurting world. Who better to occupy positions of influence than those who can offer hope? Who better to have an audience than those who can speak words of wisdom and life? Who better to have their life on display than those who speak, act and love like Jesus? Who better to lead than those who can lead others to Jesus Christ for the love and forgiveness their souls crave? I now encourage my daughters to excellence with no apologies. Not for their own acclaim. Not for popularity. But for influence to whatever degree God pleases. I encourage them, not to lavish on themselves the shallow benefits of popularity, but to grow rich in the currency of influence that can be spent for the glory of God and the good of others. A lifestyle of excellence shouldn’t be a new concept for us. We should be doing everything to bring honour and delight to God (Col. 3:17). But perhaps an exciting bit of news for us today is that living with excellence for God’s glory simultaneously positions us for great influence. What a powerful opportunity. Let’s not shy away from excellence for fear that excelling is unholy. It’s not. * Excellence earns us an audience and that’s a powerful commodity we can invest for holy influence. Second-i found you because my family attends Heritage Bible Chapel in Princeton, MA. All I could see what I looked at that picture is ERIC! I cracked up. Thanks for your words of wisdom and humor. Oh Jess, thanks for getting in touch! Yes, I do love to learn and laugh too. And yes, I’m quite a bit like my dad in many ways. Not as mischievous though… Blessings!